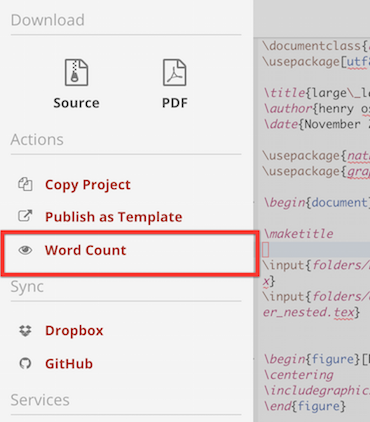 We have just released a long time requested feature, word count. You can now find out how many more words you are over for your next assignment. This feature is built on top of the great work of Einar Andreas Rødland and his TeXcount project. To perform a word count on your LaTeX project you first need to compile. You will then be able to perform the word count which is in the left hand menu.